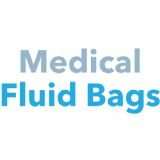 Medical Fluid Bags 2018 will examine the latest advances in the design and production of polymer bags and pouches for fluid containment in a diverse range of medical applications. Organised by AMI, it will be the first European conference focused on this subject and will follow on from AMI's debut Medical Fluid Bags event in the USA. The conference will cover the latest developments in this dynamic market including plastics and additives options, film calendaring and extrusion technologies, plus bag production techniques. Expert speakers will look at design trends and new market opportunities. They will also address critical issues such as product testing and compliance issues.